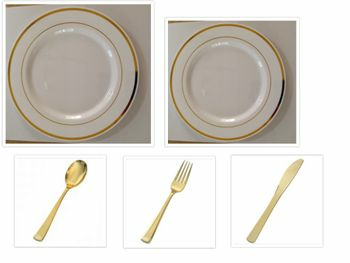 Plexware Collection 10.25" White w/ Gold Band Dinner Plastic Plates 10ct. Plexware Collection 7" White w/ Gold Band Salad Plastic Plates 10ct. 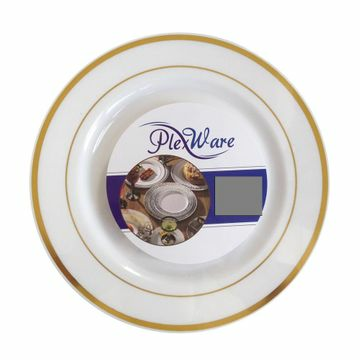 Plexware Collection 6" White w/ Gold Band Dessert Plastic Plates 10ct. White with Gold Band 12oz. Plastic Soup Bowls 10ct.